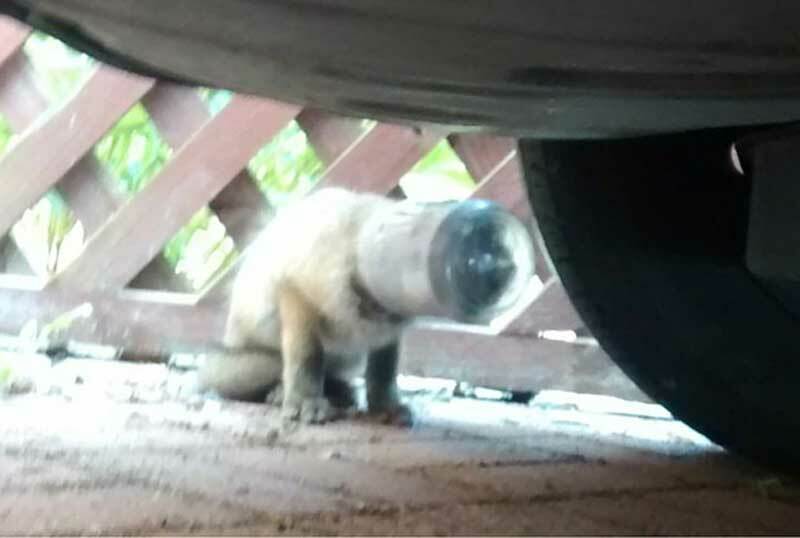 A young fox was saved from a sticky situation after its head became wedged in a jam jar. 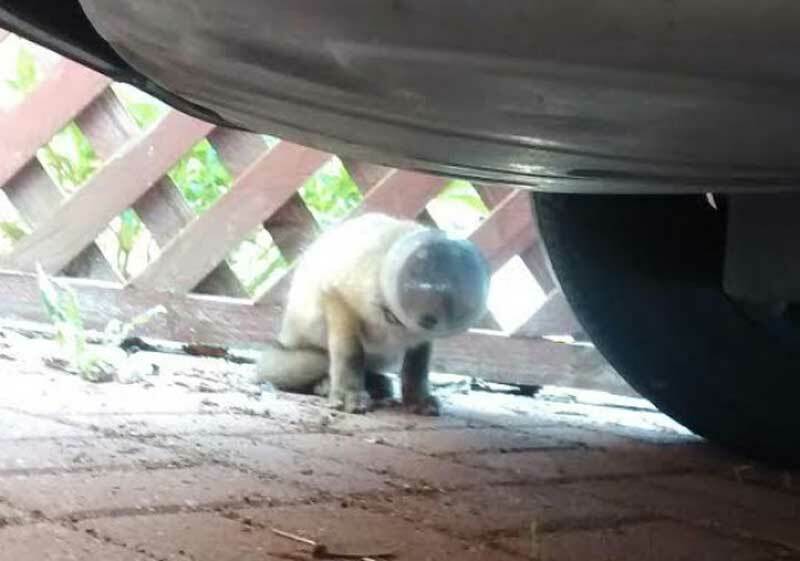 The RSPCA said the cub, which was found cowering underneath a car in Rushden, Northamptonshire, could have perished without human intervention. Once freed, he was found to be suffering no injuries and was immediately released back to his family, who were nearby. Animal Collection Officer Sharon Knight said: "This fox had a lucky escape. 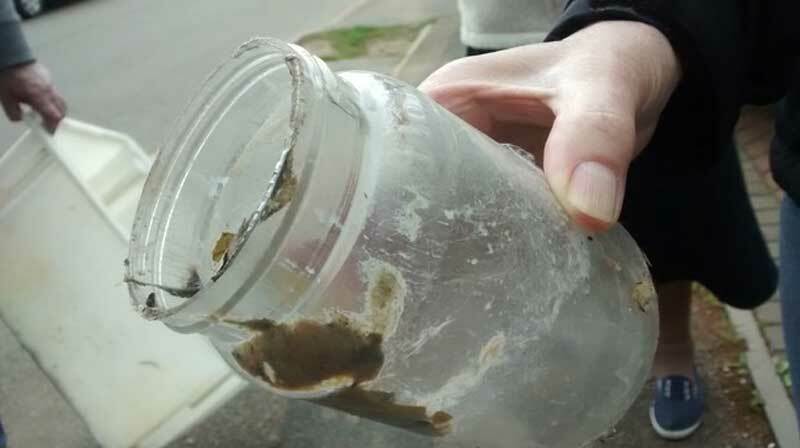 "Discarded jars, tin cans or even elastic bands can be a death trap." Ms Knight said it was not known how long the fox had been stuck before she removed the jar last Friday. "The poor cub had hidden himself under a car," she said. "Sadly the jam jar was firmly wedged over his head and it is unlikely he would have been able to get free without any help. It is horrible to think that if the member of the public had not contacted us, then the cub could have starved to death."